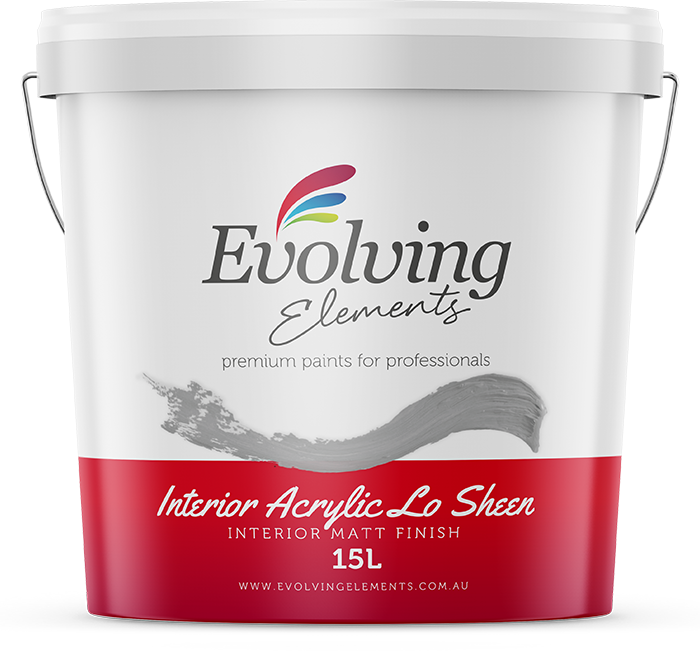 Evolving Elements Interior Lo Sheen is a smooth acrylic wall paint designed to protect and decorate your home and is ideal for covering most interior wall surfaces. Primed and sealed or previously painted plasterboard, concrete, plaster, cement render, timber and hardboard. For interior use.